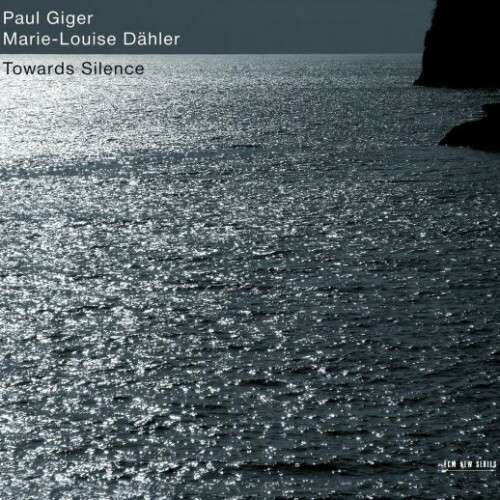 For his sixth album for ECM, violinist Paul Giger joins harpsichordist Marie-Louise Dähler for a centuries-spanning program of improvisations, complemented by arrangements of Bach and Giger’s own passionate music. The title of the opening improvisation, From Silence to Silence, would seem to be a meta-statement for ECM, the ultimate asymptotic relationship between the musical utterance and its inevitable cessation. The opening bass note of the harpsichord speaks with the quiet force of the earth as Giger’s violin skips above it. Such growls from the harpsichord are typically relegated to continuo status, anchor rather than all-consuming statement. But here they emerge with a grand narrative all their own. The lovingly rendered Aria from Bach’s Goldberg Variations that follows is yet another grand narrative, the urtext over which all variations are laid. This flow by contrasts continues throughout the album, juxtaposing the extended techniques of Cemb a quattro (which sounds for all like the soundtrack to a Brothers Quay film) and the crystalline highs of Halfwhole with the Vivace from Bach’s Sonata V in F minor for violin and obligato harpsichord, BWV 1018. The brilliance of this program is that its Baroque touches come across as the more esoteric against the status quo established by Giger and Dähler’s enticing musical language, such that the Allegro from the selfsame sonata seems almost avant-garde in the wake of Dorian Horizon. Giger’s solo pieces also nourish, as does the overtonal nectar of Gliss a uno, which is played in that mystic liminal range where the string gives up its inner secrets. Two further movements from the Bach sonata frame Bombay II, which expands beautifully on Giger’s original as it appeared on Schattenwelt. Spurred along by his footbells, it mourns with the cry of a bird in whose talons the final thread is taken, pulled from our hearts until it breaks into the silence toward which the album professes to travel. This one-of-a-kind session is a most fortuitous meeting point, one sure to yield wonders with every listen. I’ve always felt that Giger is best heard alone, but of the collaborations on record this one ranks with Alpstein as being among the most intuitive.